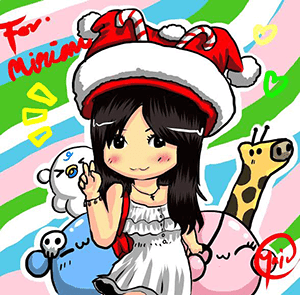 Hey darling merry goers! How has life been treating you? It has been really hectic for me and the stress is certainly getting to me with my horrible dream which woke me up in tears this morning. How many of you have dreamt of losing someone dear to you and the worse part is that you cannot wake up from that dream! Ugh seriously hate these kind of dreams. I only had this kind of dream twice in my life previous to today's dream and it was most certainly the worst experience ever. First thing I did once I could wake up from that dream was to call the person and the relieve from the person answering the phone was really very overwhelming. I actually spent nearly an hour curled up in a ball with tears running down my face. Making things worse was that I actually had to go to work so puffy eyes are definitely a huge no no. Facing stress certainly isn't anyone's favourite thing to do and while there are several ways to release stress how would you love to let go of your worries and tension with a tranquilizing and relaxing vacation? Fancy going to Boracay, Philippines or Bali, Indonesia? I love seaside holidays. The sun, the beach and that soothing sound of the waves lapping at the shores is always very relaxing to me. 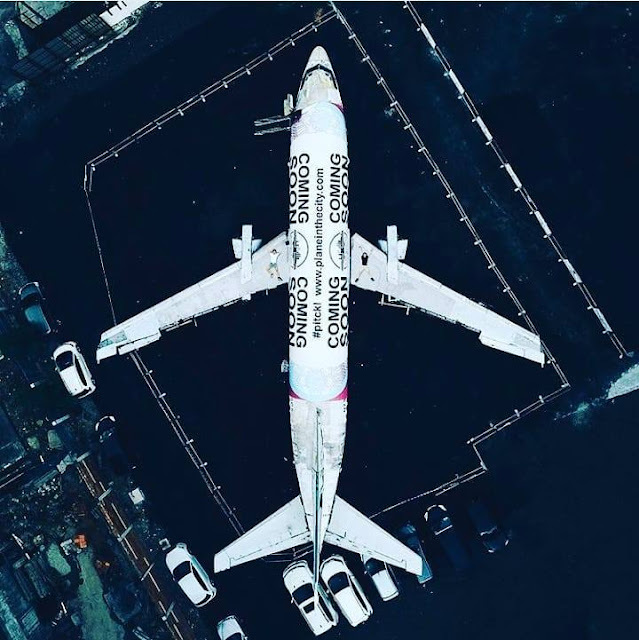 Although actually being able to travel around frequently is not something everyone can afford but what if I tell you that you can win a Holiday Indulgence trip to Boracay, Bali or Langkawi with just snacking on some yummy biscuits? Plus you can even bring your whole family too! This year, Julie's Biscuits have definitely outdone themselves with this amazing contest! 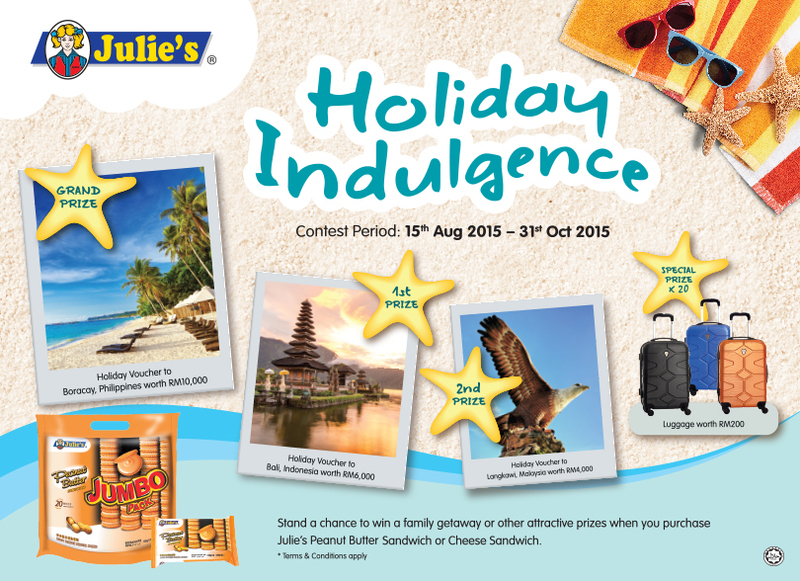 Holiday Indulgence contest by Julie's Biscuits allows their winners to win holiday vouchers to Boracay, Bali, Langkawi or even some pretty luggage bags to use too. 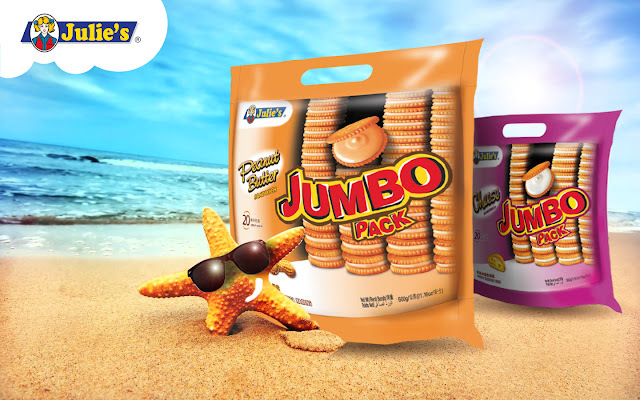 All you've got to do is to purchase their Jumbo Pack Peanut Butter Sandwich or Cheese Sandwich crackers and you're all set to stand a chance to go on a holiday indulgence! It's just so simple and the prizes are just so amazing! 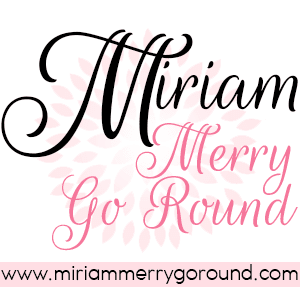 Each submission is eligible for one entry and no photocopied contest forms are allowed. Participants can also print the contest form from our Facebook. Participants are encourage to send in multiple entries, but each must be accompanied by the quantity of barcode(s) required. Winners are selected by a random draw - so the more barcode(s) you get, the higher your chances to be picked! So buy more, eat more and stand a higher chance of getting that holiday indulgence! The contest ends on 31 October 2015 and is open to all Malaysian citizens aged 18 years old and above. So don't wait any longer! This contest will be ending this month. To make things easier for you, you can just print this contest form too! For details and entry forms, visit the Holiday Indulgence tab on Julie’s Biscuits Facebook page at www.facebook.com/juliesbiscuits. wah wah wah. buy biscuit also can win holiday. shall stock up on julies now. 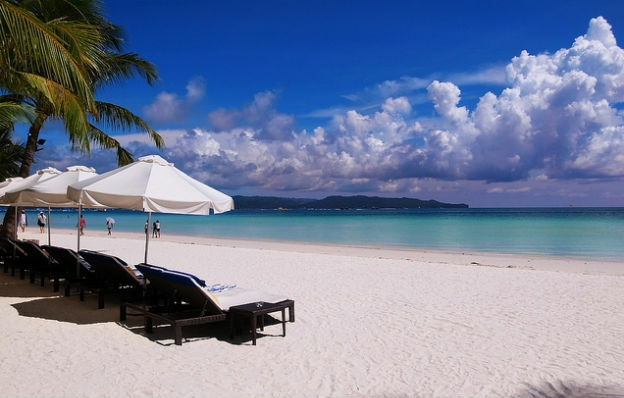 I wanna go to boracay!